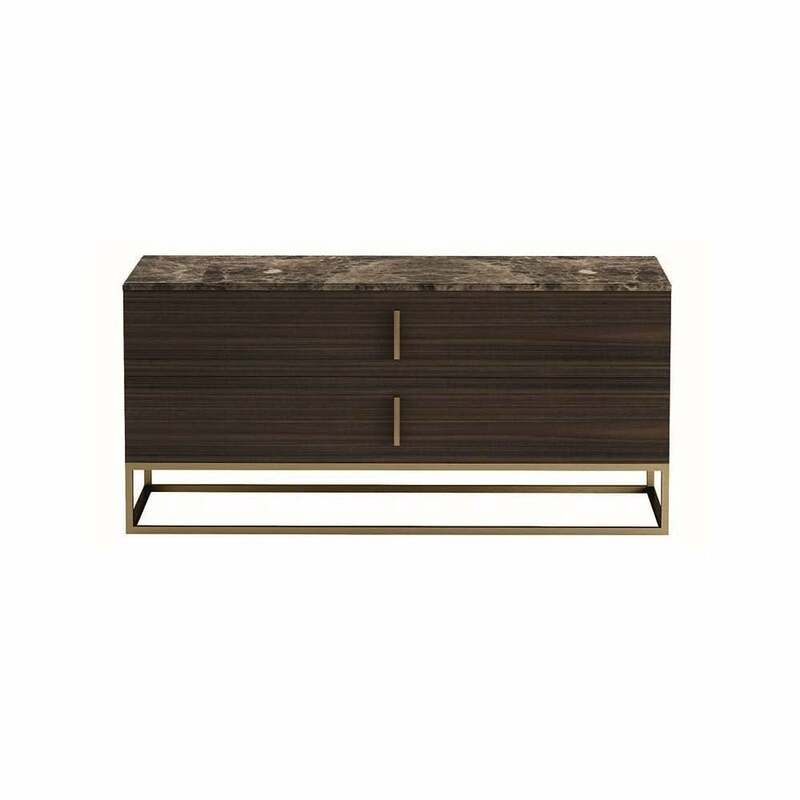 Handcrafted by skilled Italian artisans, the Milano Daytona Dresser features a beautiful linear design enhanced by a brass base with two fully fabric lined drawers. A precious dark walnut veneer and a brushed gloss finish upholster the art deco inspired structure. The drawers feature glamorous pure burnished brass handles with soft metal runners for stylish storage. Style in the bedroom with other complementary pieces from Daytona collection. Signorini & Coco offer a wide selection of finishes including various lacquered woods for the structure and complementing marble and wood for the dresser’s surface. Priced for Emperador Marble Or Wooden Top.